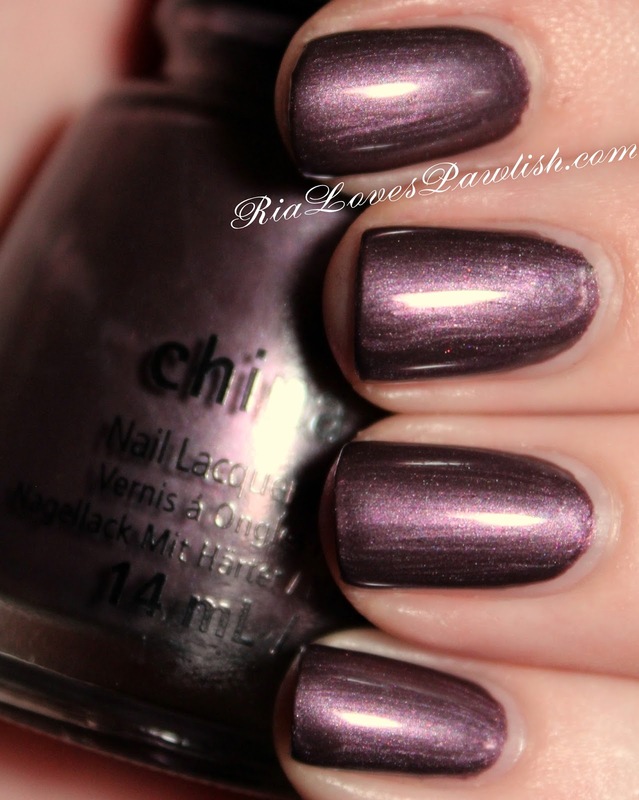 Ria Loves Pawlish: China Glaze Twinkle... No Peeking! ran a few errands in the rain today... i'm still not a rain fan, but at least it wasn't snow and ice! we are supposed to be having flurries on Wednesday, which is jump lesson day... so i'm hoping the weather will change its mind. if not... we'll get a picture of how my car's going to handle when the REAL weather comes next month! today's China Glaze Twinkle collection polish is No Peeking!. (it's a press sample, kindly provided to me for review!). it's a warm, mid-tone dusty purple with a pearl finish. there are a few brushstrokes to be seen as it is a pearl, but nothing too noticeable. just make sure to keep a steady hand when applying to avoid those wobblers! two easy coats makes for full opacity... like most of the colored polishes in this collection, you could probably use only one, i just prefer two :) a shiny topcoat really helps bring out the sparkle. two coats No Peeking!, one coat Salon Perfect Crystal Clear Top Coat. (both are press samples).